The owner of the domain www.generalinsurance.es offers this service as an external collaborator of Proyectos y Seguros, S.A. Brokerage Insurance with key J0067, pursuant to what is established in art. 8 of Law 26/2006 of July 17, on insurance and reinsurance mediation. If you want to hire any service offered by CASER Insurance you can call our customer service for a no-obligacion personalized quote with the CASER Insurance company and with almost any other insurance company that you decide. Call now at 91 756 71 08 and request a free, personalized study in English. If you would like to be contacted by a specialized dealer of CASER insurance, click on the following link and insert your name, telephone number, select the CASER insurance in which you are interested and in a few moments a specialized salesperson will contact you to inform you free of charge of the selected service. He has more than 70 years of experience in the insurance business. It offers quality, professionalism, customer orientation and solutions in all areas. It serves more than 2.3 million customers through more than 12,000 sales centers in Spain. Billing an approximate income of 1,830 million euros. It has more than 12,000 points of sale. It promotes the health and social welfare of people. - Car insurance: the most complete safety cup for your car. - Motorbike insurance: we offer you the necessary safety on the road. - Home Insurance: You can choose the coverage for your home, with assistance in cosmetic recomposition, theft, protection of your jewelry, breaks, special valuables. - Health insurance: discover the advantages for your health, with the following insurance: optics and pharmacy, health insurance, postpartum at home. - Pension insurance: secures your future with the best plans. - Savings and investment insurance: Choose profitability giving stability to yours. - Dependency Insurance: contains tax benefits and is available to families. - Mobile insurance: protects your mobile from any damage that may occur. - Drone insurance: offers protection to drones with a weight of up to 20Kg. - Life Insurance: It offers the necessary protection for your well-being with a maximum duration of 70 years. - Leisure Insurance: offers the security to enjoy your favorite hobbies like hunting, fishing or sailing. - Pet Insurance: Offers a network of professionals who care for them. If you wish to leave your valuation according to your experience with insurance company CASER Insurance you can rate it from 1 to 5 stars. 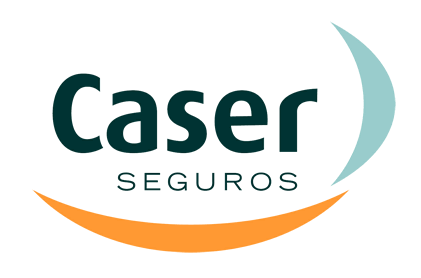 CASER offers insurance in all Spanish provinces. From www.generalinsurance.es/caser.html of Grupo Seguros Generales, we are not responsible for the comments, ratings or opinions made by www.generalinsurance.es/caser.html users about CASER Seguros, whether positive or negative. We understand that everyone is free to express their opinion as long as it is carried out with education, legality and without failing the truth and experience received. To make a comment on CASER you must be logged in to Facebook and you will be solely responsible for your opinions and ratings.